The carbon cycle describes the movement of carbon as it is recycled and reused throughout the biosphere. Carbon-based molecules are crucial for life on earth. In the atmosphere, carbon combines with two oxygen atoms, making a molecule called carbon dioxide (CO2). Fossil fuels, when burned, release CO (carbon monoxide), CO2 (carbon dioxide) and CH4 (methane) into the atmosphere. 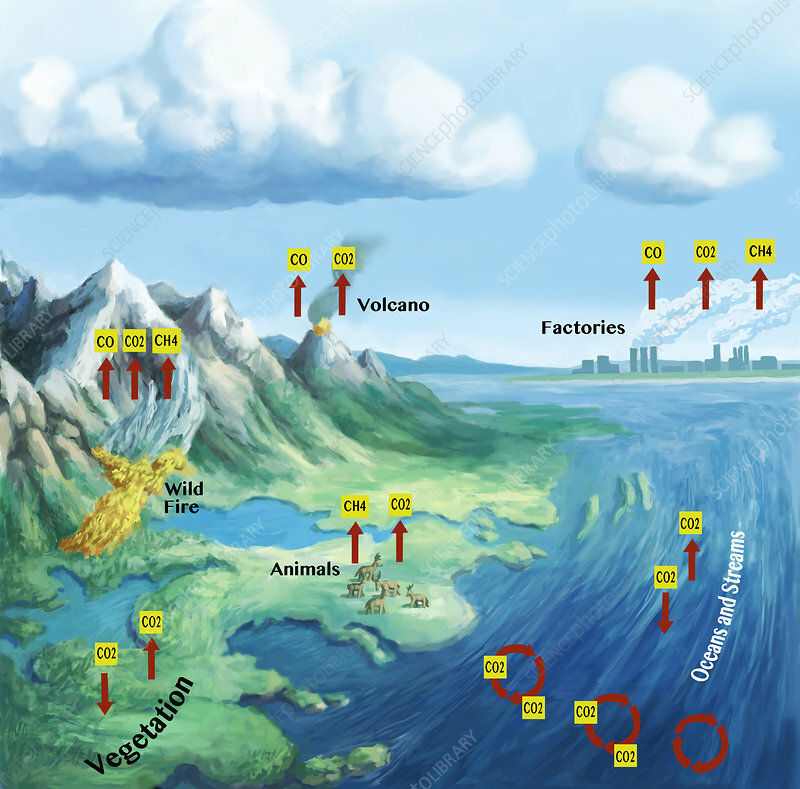 Volcanoes, wildfires, animals also release carbon gases. Plants absorb CO2 and release oxygen in a process called photosynthesis. Oceans also absorb CO2. Carbon dioxide is a greenhouse gas and traps heat in the atmosphere, making life on Earth possible; however, human activity has considerably increased the amount of atmospheric carbon, altering weather patterns, influencing oceanic chemistry, and significantly contributing to global warming.